This entry was posted on September 25, 2014 by Jessica Anderson. We love what we do and it's wonderful when our work makes a difference. Here's the story of the Cody Project and the custom awards we created for their recent golf tournament. With custom awards, you can create a truly unique trophy specific to your organization. The Cody Project is a wonderful tribute to a little baby boy who's life ended much too soon. His loving family keeps his memory alive through the Cody Project, a non-profit organization that supports children's charities, including the United Cerebral Palsy Foundation. The Cody Project is personal—it originates with the inspiration of one family and is maintained with family and friends. Many of the people associated with the project, including some board members, work uncompensated for their efforts. This ensures that donations support children and families. 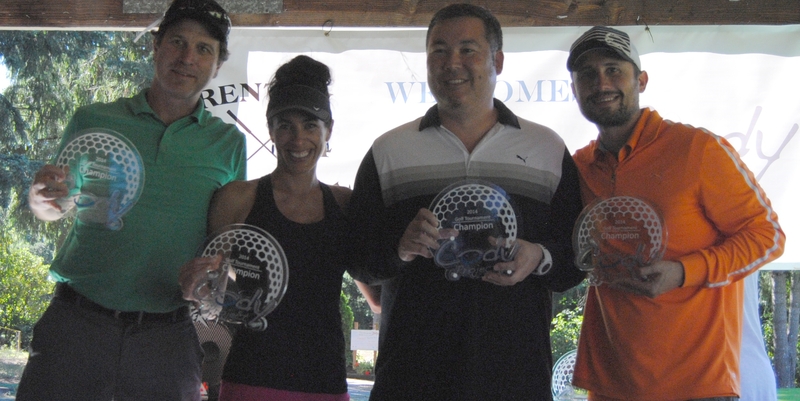 Awards for the Cody Project 2014 Golf Tournament. Russ Foster, founder of the Cody Project, recently came to us with a request for custom awards for a memorial golf tournament, which is also a fundraiser for the charity. He wanted the Cody Project logo be featured on the awards. Our president Jeff worked with Russ on the design, and together they created custom acrylic awards featuring the Cody Project logo. 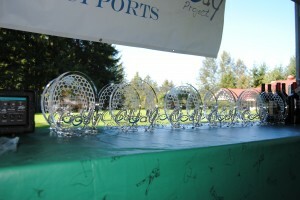 With graduated sizes for 1st place, 2nd place, 3rd place, and other categories for tournament winners, these custom awards were the perfect way to acknowledge players at the tournament. What makes a custom award a winner for an organization? By having the logo incorporated into the award, every time the recipient looks at it, they are reminded of the organization. Many times an award recipient is a donor to the organization; the charity says top of mind, reminding the award winner to give, adding to the longevity of the award. With 129 participants attending the event, Russ's tournament was able to raise $10,000. Proceeds from the tournament will support charities including the NICU at Swedish Hospital and Provail, along with the Cody Project Endowment. It’s great that we can help wonderful organizations and charities, such as the Cody Project, raise funds to continue their work. Thank you Russ for sharing your story with us!